This is the first edition of our exciting new publication! 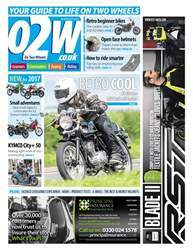 O2W is a newspaper that aims to do exatly what it says on the cover... to get people onto two wheels by offering advice for everyone , whether you are starting out for the first time, looking for guidance on commuting , or seeking other riding advice. Each issue will be packed with handy information on various subjects from machine suitability for commuting or pleasure , plus bike/product guides and reviews alike - not forgetting an abundance of up-to-date news and otherfeatures. 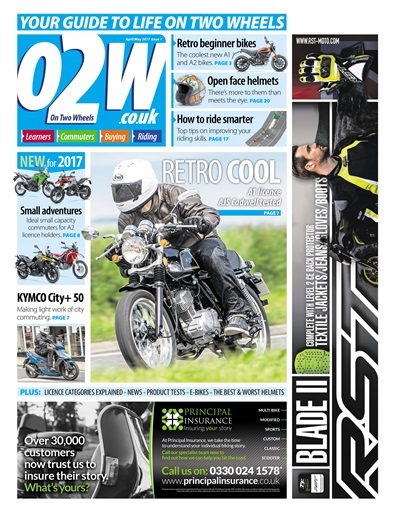 O2W is written by a team of experienced bike riders (some of whom will be familiar to you) and will be accessible to all new riders and commuters via our 'free pick-up' outlets at dealers and training schools based around the UK.